Jumbo screen printing involves the same set-ups and process as standard screen printing but it allows for a larger print area than the standard 35cm x 45cm. Using our jumbo screens, we can print up to 45cm x 55cm allowing for a much larger printable area, which is a great solution if you are printing onto larger garments or onto large pieces of fabric. At Garment Printing we are always using state-of-art-machinery and the best printing techniques in order to achieve the best possible result. If you have any doubts or questions, you can contact our friendly team here and they will answer you within minutes. Garment Printing takes care of your printing needs, whether you are in a rush and are in need of a “next day t-shirt printing service” or custom printed promotional merchandise, or many more services, we’ve got you covered! Jumbo screen printing is a perfect option if you are looking to produce a large print on a large surface area. 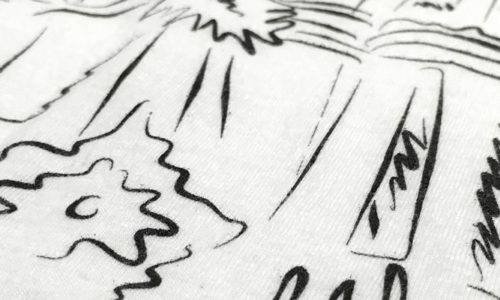 It is always good to keep in mind that, in order to keep set-up costs as low as possible, we base the largest print size on the smallest sized garment. Otherwise, there will be set-up costs incurred for each print size which, depending on the quantity that is to be printed, may or may not be feasible. With jumbo screen printing, it is always best to contact our highly-trained printing experts so that we can give you guidance and advice as to the best options which are available to you. 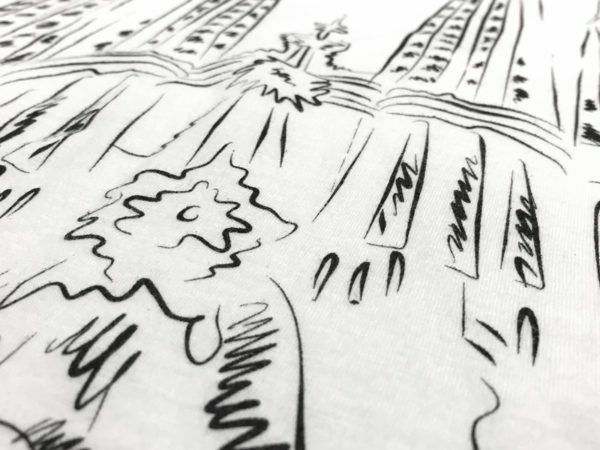 To preserve the print and the garment, it is recommended that you wash the garment inside out on a cold wash to make the design durable and last as long as the garment itself. Do not tumble dry and do not iron over the print. For more instructions take a look at our Wash & Care Guide here.